MPS Home Improvements Ltd - Builder, Driveways/Patios/Paths based in Billingshurst, West Sussex. Martin Swabey is owner of MPS Home Improvements. They are a family run business and have been established for 6 years. 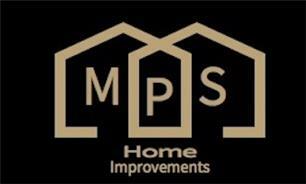 MPS Home Improvements offer free no obligation quote and on site visits. All work undertaken is fully guaranteed. The team pride themselves on their attention to detail and offering a personal service throughout. Keeping the client fully informed every step of the way. Now Proud sponsors of Southwater Royals FC U8 team!